UPDATE: Ryan Gosling's people have told the folks over at the EW that he will not in fact be playing the Lone Ranger alongside Johnny Depp as Tonto. Honestly, it's probably for the best. Last fall it was announced that Johnny Depp would be playing Tonto in the new "Lone Ranger" film, which begged the obvious question, Who's gonna play the Lone Ranger? Right now it appears that Ryan Gosling has the inside track on the role of the masked lawman, according to The Wrap. The idea of Gosling on a horse makes us snicker a bit, but he's a great actor and its an iconic role. And with Depp already on board, Gore Verbinski directing and Jerry Bruckheimer producing the film for Disney, this would be far and away the biggest film of Gosling's career. "Revolutionary Road" scribe Justin Haythe is working on the screenplay. 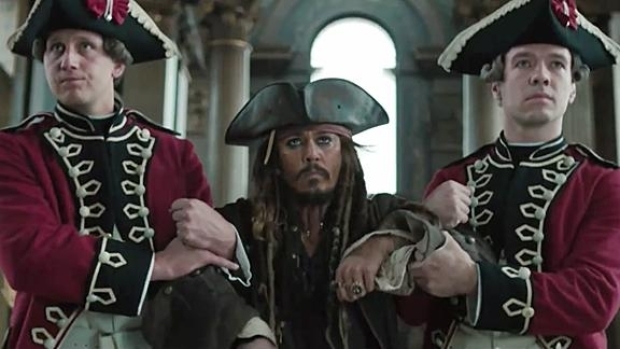 Captain Jack Sparrow (Johnny Depp) is back, and this time his ex, Angelina (Penelope Cruz), joins the fun as our hero finds himself in a race with Blackbeard (Ian McShane) to be first to find the Fountain of Youth. Gosling's been building towards this level project for a while now. He's made a name for himself in indie hits like "Half Nelson," "Lars and the Real Girls" and "Blue Valentine," and this year he'll be starring in more commercial fare, like Steve Carell's "Crazy, Stupid, Love." which is out July 29. But the film that has us waiting impatiently is "Drive," directed by Nicholas Winging Refn, in which Gosling plays a stunt driver who moonlights as a getaway man. It was recently announced that the film would be in competition at Cannes, which of course has raised our expectations even higher.